Fremont based Solyndra takes the cake with a whoppping $600M funding from DOE, followed by Signet Solar. If you would like to know the other top 10 funded start-ups in this solar space checkout these two respectable sites. With a program in place to deploy a Million roofs by 2017, we are looking at 8 years to acccomplish this golden milestone every Californian will be proud to achieve. 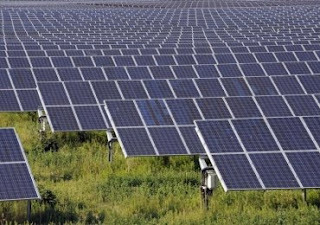 What is the governement doing about incentivising fellow cal residents and commercial institutions to start solar energy adoption? For one thing there is the CEC's renewable energy branch of the UPCEC called Go Solar California which is offering rebates and other incenives to builders and contractors. This is a good start but more needs to be done at the residential level. 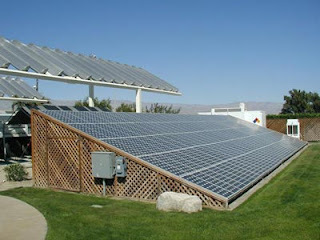 Can anyone take a guess at which California city has the highest deployment of solar roofs? As per a 2009 report published by Environment California Rearch and Policy Center, that city is San Diego with an installed base of 2,262 solar roofs generating 19,427 KWatts of power. If you're wondering who are the remaining cities in the top 10 list, may I suggest downloading the report by clicking here. Thanks to California's ambitious goal of 1 Million solar roofs by 2017, a 20,000-person years of emploment is projected with a steady job growth rate for the next 10 years. If you are interested in how these numbers were arrived at, here's a link to the Eelectric Power Research Institute (EPRI) which provided resarch data for the California Energy Commision(CEC). What's behind the Solar Panels? If you need more details, here's a decent site from our friends at Discovery. How's Solar Energy Deployed ? Hopefully there're more applications out there..
Hopefully folks out there can add to this list. I plan toi add more in the coming days, weeks..